Providing information about auto body repair. 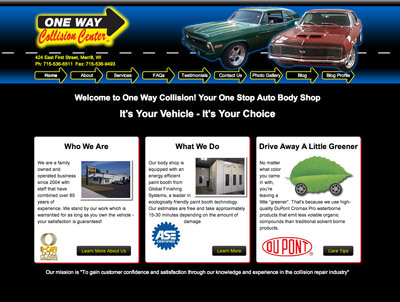 Welcome to the new blog of One Way Collision Center. We are looking forward to providing great articles about how our auto body repair services can help your car be restored back to it's former self. We look forward to providing informative articles and resources that will keep you up to date about what is happening in the auto body repair industry. We hope you enjoy our blog and look forward to connecting with you.